Do you have a large quantity of tea that you are unable to drink before it goes stale? Or have a package you picked up (or received as a gift) that isn’t, well, your cup of tea? You have two immediate options for those, let them collect dust in your cabinet or toss them out in the trash. If neither of those options appeal to you, read on. 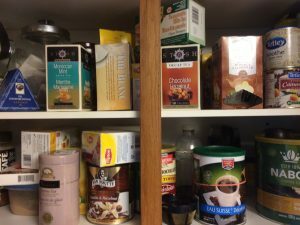 I have a huge cabinet full of the stuff (okay true, my mother and I share this cabinet, but it’s still a lot of tea for two people!). There’s a bit of coffee tossed in there, but the lion’s share of the cabinet is tea. 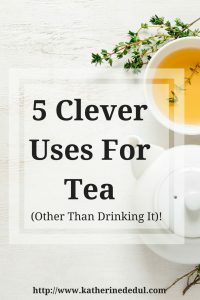 Rather than let all that lovely tea go to waste, in this article I’m going to share with you my five favorite ways to use up tea that is either too stale to drink or isn’t my favorite flavor. Tea is essentially a spice, it can be treated as such in your favorite cookie recipe. I love vanilla rooibos cookies. I found a recipe from the Republic of Tea that works beautifully! 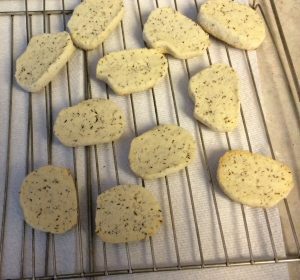 They turned out very nice, I substituted the flour with gluten free flour and the cookies turned out just fine so don’t be afraid to substitute if you have dietary restrictions. 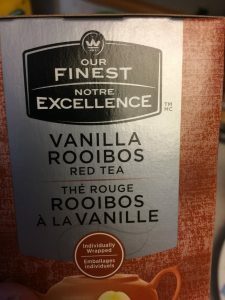 I recommend specifically Vanilla Rooibos as if you just have the plain rooibos teas, you will need to add vanilla in by either using a vanilla bean or extract. I love the unique flavors cakes made with tea have. 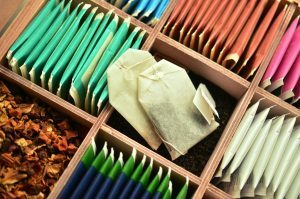 Some recipes you’ll find will call for loose leaf tea to be used as a spice, but I have also seen recipes that call for steeping your tea of choice in milk or water before combining with the rest of the ingredients. One example is A Pretty Life’s Earl Grey Tea Cake. I’ve seen dried tea leaves added to a glass vase, with silk flowers added. It’s a great way to create a filler without spending a ton of money, particularly if you already have the tea lying about! The Huffington Post published an article that will be of interest to your potpourri fanatics, here. Tea would make a lovely scent for a home I think, if any of you try it, let me know down below in the comments. Who knew right? Green tea, in particular, has some excellent health benefits for your skin and hair. Antioxidants, tannins and the like are present in there and can help clarify your skin. To make a face mask, I like to use green tea with honey, merely form a paste with the two, leave on for about 15 minutes or so and rinse with warm water. For the hair, I have tried a few of the masks from this article by Four O’Clock Teas. I particularly like the black tea rinse mask, as my hair is naturally wavy and does have a tendency to frizz out a bit in high humidity. Disclaimer: I am not a licensed professional, so I make no guarantees on the results. At the very least test the product on a small area of your skin before applying all over, but if you have serious concerns about your skin please consult with your doctor or dermatologist! I also recommend spot checking your hair for the hair masks as well. I stumbled across a post by Teatulia that outlined some alternatives for tea. It turns you, you can use old tea to clean furniture (light teas on light wood furniture, dark teas on darker woods always). A lot of the ideas in the post can be used with tea that is past its drinking (and eating) prime! Just as your skin can have an adverse reaction to the tea, so can your furniture. I always recommend testing a small area first to ensure it will produce the results you wish before applying all over. Like what you read? Please share this post on social media using one of the share buttons!